This desk adds a hint of vintage style. From our Bourbon collection, it's inspired by French neoclassical lines and brought up-to-date with a contemporary painted finish. You want a practical workspace, but you refuse to compromise on design. And why should you? 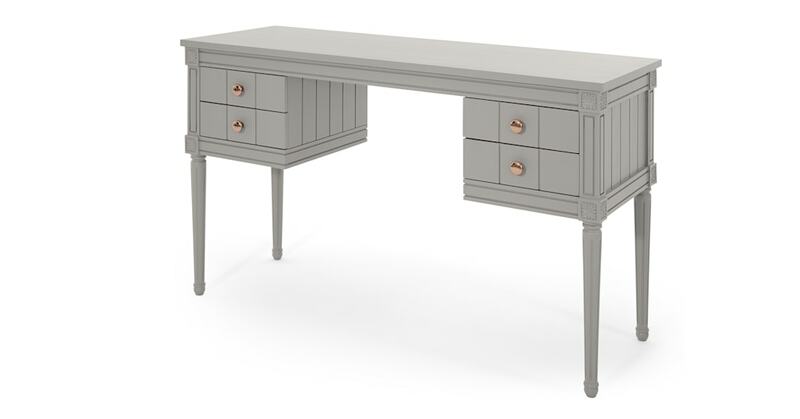 With our beautiful Bourbon vintage desk you can create the home office you've always dreamed of. Crafted from sturdy wood, this desk is finished with a decoratively carved block detail at the corners. Ideal for giving your space an eclectic touch.